Sony Interactive Entertainment Hong Kong Limited Singapore Branch (SIES) announced today that a new PlayStation®4 (PS4®) Dual Blu-ray Disc pack will be available in the Philippines from January 17, 2019. The product line-up is made up of a choice selection of previously released best-selling PS4® software titles. 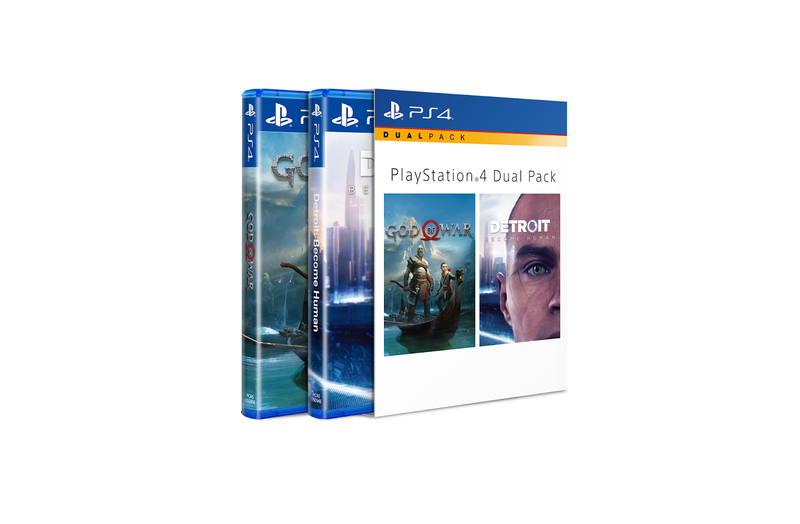 The PlayStation®4 Masterpiece Pack will include the Game of the Year title, God of War, and critically acclaimed title, Detroit: Become Human. The pack will retail at the price of PHP 2,699. From Santa Monica Studio and creative director Cory Barlog comes a new beginning for one of gaming’s most recognizable icons. Living as a man outside the shadow of the gods, Kratos must adapt to unfamiliar lands, unexpected threats, and a second chance at being a father. Together with his son Atreus, the pair will venture into the brutal Norse wilds and fight to fulfil a deeply personal quest. Detroit: Become Human™ is the latest title developed by Quantic Dream that expands on the studio’s legacy of gripping, narrative driven experiences (Fahrenheit/Heavy Rain™/ BEYOND: Two Souls™). Discover what it really means to be human in a powerful, emotional journey made of choice and consequences. Set in Detroit City during the year 2038, the city has been revitalized by the invention and introduction of Androids into everyday life. But when Androids start behaving as if they are alive, events begin to spin out of control. Step into the roles of the story’s pivotal three playable characters, each with unique perspectives as they face their new way of life. In this ambitiously bending and thrilling narrative, every choice and action will not only determine the character’s fate, but that of the entire city and possibly beyond. SIES will further accelerate the expansion of the PS4® platform by continually releasing a vast library of exciting and attractive software titles while offering users a choice from a variety of hardware models.